Ready for more color in your life? Red Aspen has you covered. During 2019, Red Aspen is releasing one new color theme per month. During the month we will debut new and existing products that fit in the monthly color story. Tell me more about the color story concept? 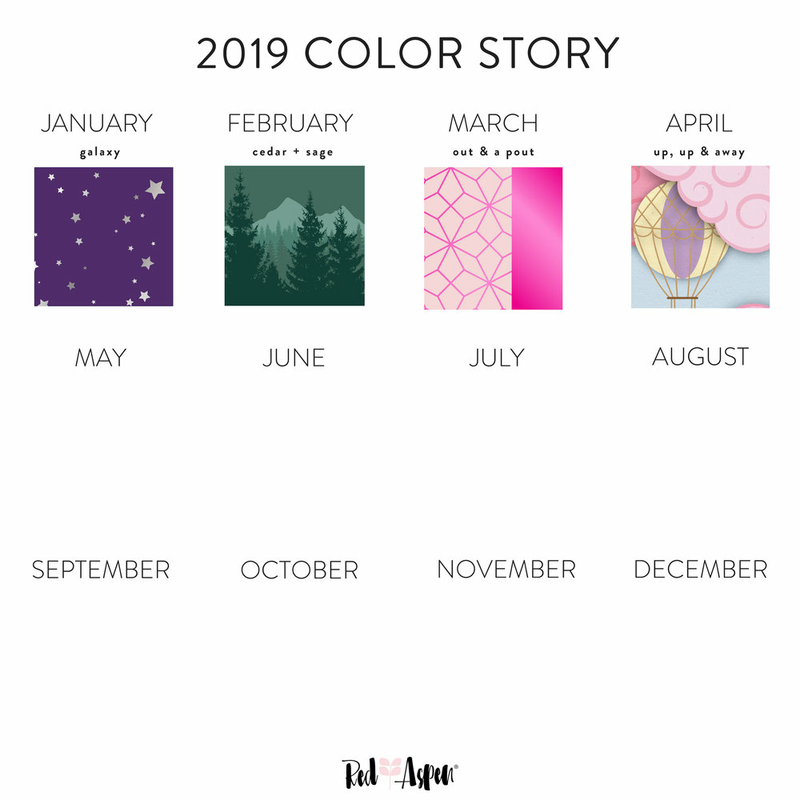 During 2019, Red Aspen is releasing one new color theme per month. During the month we will debut new and existing products that fit in that month’s color story. What is the color story box? On the first business day of the month Red Aspen will release a limited edition collectors box that provides a taste of the products that will come out during the month + existing products. The new products in the box will be available for sale to Brand Ambassadors and customers before they go on sale individually, so you’ll have exclusive access to these new products FIRST before anyone else! How much does the color story box cost? How much product is in the color story box? The value of the box varies, but the value will always be equal to or more than that cost of the box ($40). whAT COMES IN THE COLOR STORY BOX? Every box comes with a limited edition, collectors box telling the story of a woman named Aspen. Inside the box you’ll be delighted to find a few of Red Aspen’s products that help tell the color story. When is the color story box released? The color story box will be released to Brand Ambassadors and customers at the beginning of the month. The box will prelaunch to Brand Ambassadors and launch to customers a few days later. Once the color story box turns off (or sells out) Red Aspen will make the individual new products in the box available for sale. Yes! Red Aspen will release other products over the course of the month that help feature the color story that month.